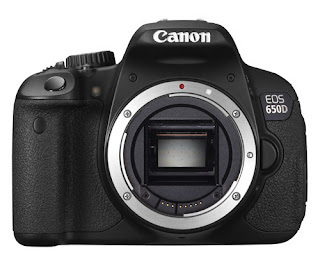 Back on the 6th July, Canon Australia announced a service notice relating to an issue with the front rubber grip on some EOS 650D DSLR cameras. The problem is due to a substance produced by the rubber grip - namely, zinc bis (N,N’-dimethyldithiocarbamate). This is caused by a chemical reaction that turns the rubber surface white when it comes into contact with other materials. And apparently high temperature and humidity makes this worse. Certain lots produced between 31st May and 15th June 2012 were identified as being susceptible to the issue and as a result Canon Australia prevented any units within that range from entering the supply chain in Australia. However, as a precautionary measure, Canon has broadened the serial number range of potentially affected products to include lots produced up to 27th June. They have identified a small number of units between Australia and New Zealand that fall within this increased buffer range. To identify whether your camera is affected, Canon Australia has provided an online serial number checker. Canon advises users of EOS 650D cameras who have already checked their camera serial number prior to 3 August 2012 to please repeat the process. Owners of potentially affected cameras purchased through Digital Camera Warehouse may contact us on 1300 365 220 or customerservice@digitalcamerawarehouse.com.au to arrange a swap of the affected camera for new stock, or contact Canon directly on 13 13 83 to arrange for a free service. Further information as well as important information on use can be found on Canon Australia's support page.